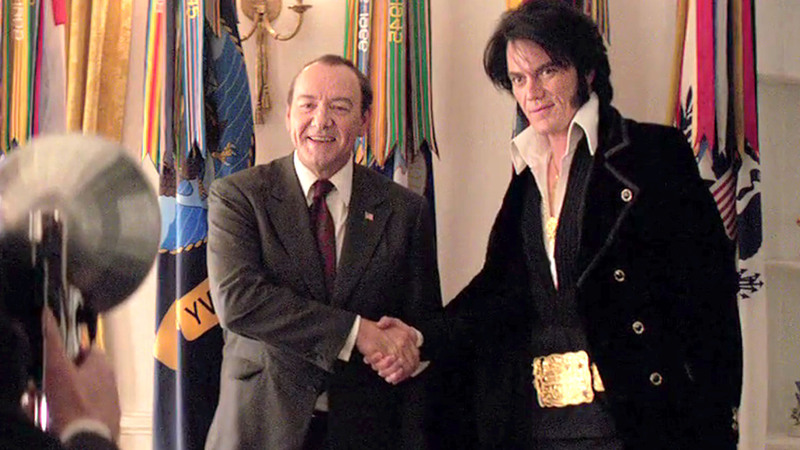 It’s one of those tales that has to be filed under Believe-It-Or-Not: when Richard Nixon (Spacey) met Elvis Presley (Shannon) in the White House on 21 December 1970. There’s no doubt that the meeting took place – one of the photographs taken that day is the most requested item in the US National Archives – but even so, if a conspiracy theorist came up to you and said Elvis met Nixon because he wanted to go undercover as an agent for the Bureau of Narcotics and Dangerous Drugs, you’d brush them off with a “Yeah, right,” and promptly move on with your life. But that is exactly what happened, and Liza Johnson’s bright and breezy movie looks at what might have occurred, and what might have been said, during that unexpected meeting (alas, Nixon didn’t start recording conversations in the Oval Office until some months after he met Elvis). The Elvis Presley we meet at the movie’s beginning is an odd, troubled figure, unamused and made fearful by the revolution being played out on American streets by the youth of the day. To Elvis they’re all being misled, and to him, it’s the drugs that are leading them astray. 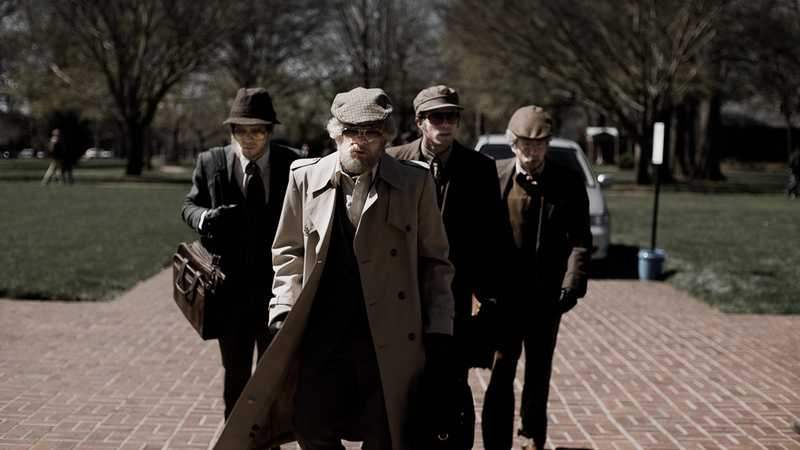 What better way, thinks Elvis, to help his country and avoid a dire future, than to go to Washington and plead his case to become a Federal Agent at Large, an undercover role that would allow him to infiltrate the various organisations leading the so-called revolution. (And just in case you’re thinking, undercover? Is he mad?, then the answer is, probably. Or at least, very deluded. Very, very deluded.) And what better justification for his going undercover, than the fact that he already has various honorary law enforcement badges which have been given to him over the years (and which he seems to think is all the I.D. he needs wherever he goes – even the White House). Elvis writes a letter to Nixon that he hand delivers to the North Gate of the White House. The letter reaches one of Nixon’s aides, Dwight Chapin (Peters), who in turn shows it to senior aide Egil “Bud” Krogh (Hanks). At first, Krogh is dismissive, until he realises the benefit to Nixon’s image that a meeting with Elvis might have; but Nixon is dismissive of the idea. 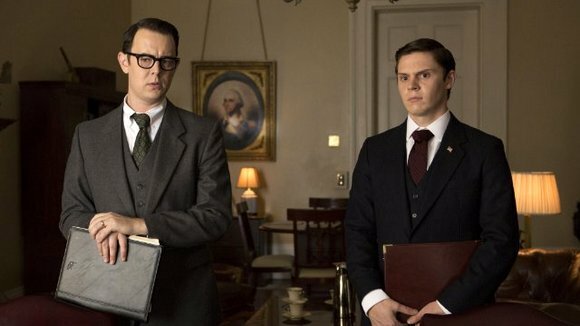 It’s only when Elvis’s personal assistant, Jerry Schilling (Pettyfer), suggests that Krogh “let slip” to Nixon’s daughters that their father might be meeting Elvis, that Nixon is emotionally blackmailed into letting the meeting go ahead. And so, the stage is set for one of the most unlikely get-togethers in the history of US politics and entertainment. With the movie firmly deciding that Elvis was acting like a fruitcake at the time, and with Shannon playing him like a man who thinks everybody else around him is on the same wavelength – even though it’s doubtful there is a wavelength in the first place – his odd mannerisms and apparent lack of social awareness make for an amusing yet also deeply sad interpretation of the man and his misguided sense of commitment. That he really felt he could go undercover is the clearest guide to how barmy his idea was, but Shannon makes it all seem plausible – to Elvis if no one else. And that so many other people went along with it makes it even more bizarre. But amidst all the extraordinary behaviour, Shannon wisely adds a sense of almost child-like innocence to his portayal of Elvis that helps offset the surface notion that The King has lost his marbles. However you view his “ambition”, what Shannon consolidates in his offbeat, whimsical performance is that Elvis believed in everything he said – completely and without equivocation. 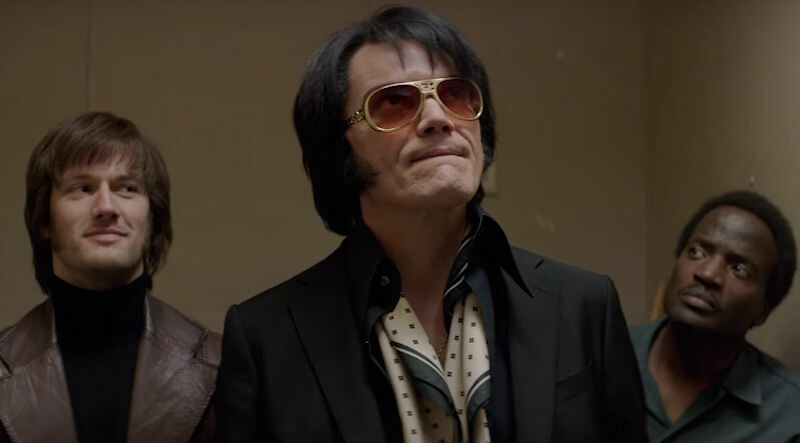 Shannon is probably not everyone’s idea of Elvis Presley, and it’s true that even with a wig, sideburns, and Elvis’s trademark sunglasses the actor still looks nothing like him. But the same is true of Spacey, whose portrayal of the President stops short of being a caricature of the man, and even with the aid of a terrific make-up job, the actor is still recognisable as himself first and foremost. In the end though, it doesn’t matter because the performances of both men are so very good indeed. Separately – and the movie keeps them apart for nearly an hour – they bring to life their real-life characters with a mixture of vocal impersonation, physical posturing, and attention to detail. But when they finally meet, and Nixon’s obduracy gives way to an unforeseen liking for Elvis and his right-wing political views, the apparent differences between the two men fall away, and both actors enjoy the kind of verbal sparring that helps lift the movie over and above its slightly pedestrian beginnings. Ultimately, Elvis & Nixon only works fully once Elvis actually meets Nixon, and the script by Joey Sagal (who has a memorable cameo as an Elvis impersonator), Hanala Sagal and Cary Elwes (yes, Westley himself) springs into life in a way that makes up for the meandering, inopportune approach taken up until then. 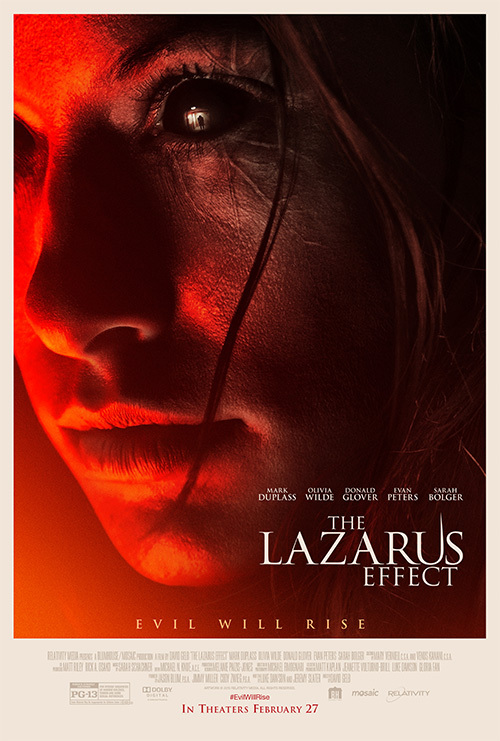 Make no mistake, the movie is a lightweight, engaging, yet deliberately frothy concoction, and it’s made in such a way that it’s not meant to be taken too seriously. But there’s an awful lot of running around for no good reason as the movie makes this momentous meeting happen. 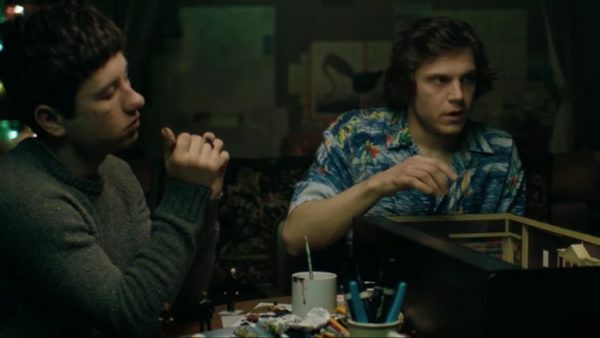 A subplot involving Schilling’s need to fly home to meet his girlfriend’s father is entirely superfluous, which makes Pettyfer’s presence entirely superfluous as well, while Knoxville’s presence is pared to the minimum. 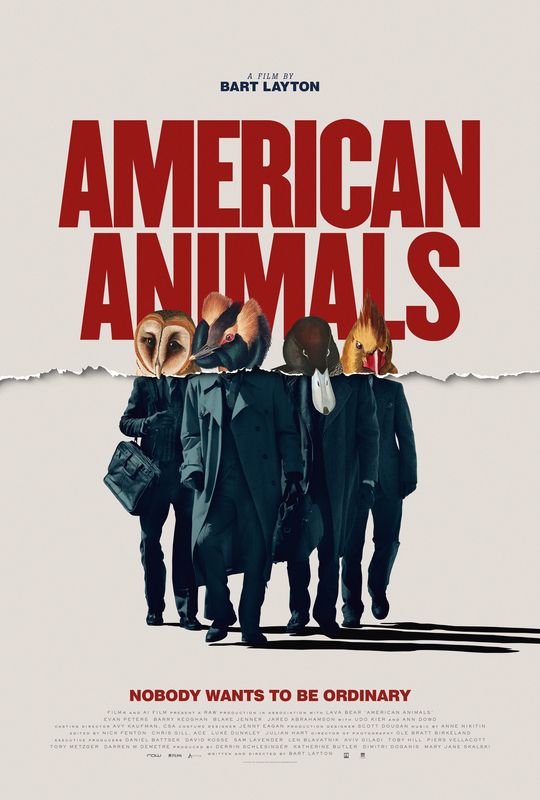 Hanks and Peters fare better, portraying Krogh and Chapin as two guys just trying to do their best, and getting quite a lot of the laughs as a result (however, there’s a sting in the tail when a pre-post credits sequence informs the viewer that both men were jailed for their involvement in the Watergate scandal). Whatever was discussed between Nixon and Elvis on that December day is unlikely to ever be revealed. And even if this particular version has it all wrong, it is reassuring to know that it doesn’t matter. 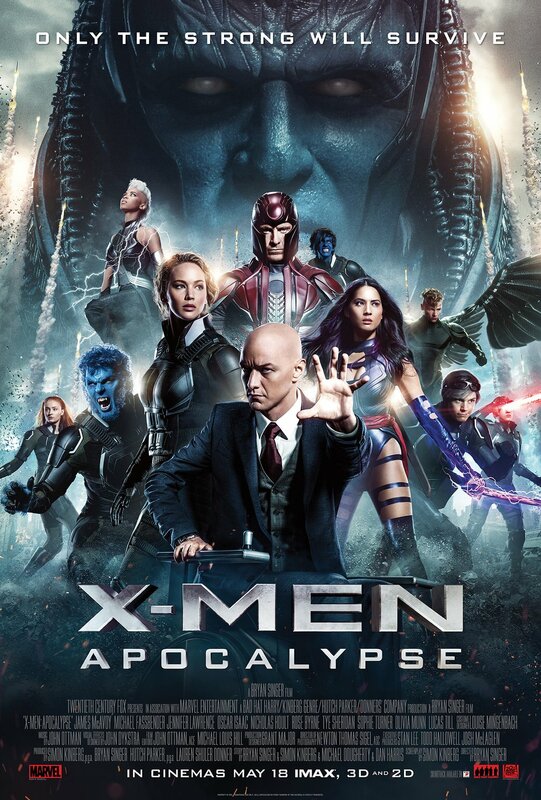 This is a movie where you could almost apply the old adage, “Print the legend!”, and it wouldn’t make any difference. Johnson’s direction is assured if not outstanding but she does coax outstanding performances from her two leads, and if it weren’t for them, the movie wouldn’t be as enjoyable as it is. 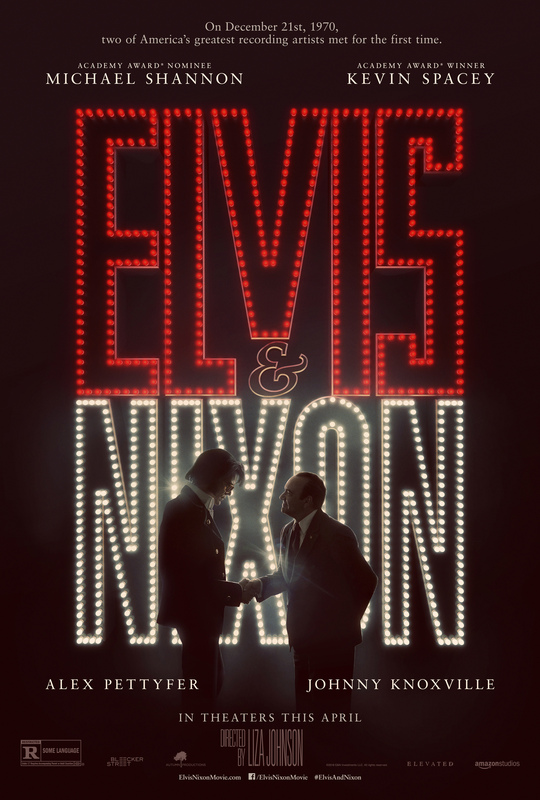 Rating: 7/10 – taken with a very large pinch of salt, Elvis & Nixon can be enjoyed for the sugar-coated treat it is, and not as anything more serious; with good performances all round (and not just from Shannon and Spacey), and a pleasing sense of its own silliness, the movie may not linger in the memory once you’ve seen it, but it will delight and impress you while you watch it. California, the Seventies. Charles (Peters) is seventeen, attends high school, has an absent mother, a deceased older brother, a seriously ill father (Beghe), legs that cause him difficulty in walking, and a job working in the diner at a truck stop. One night he sees a teenage girl named Vicki (Temple) accosted by a man called Skid (Alejandro). Charles intervenes and threatens Skid with a baseball bat. Skid is amused by Charles’s attitude and drives off. Over the next few nights, Vicki – who is a prostitute – comes into the diner for coffee, and she and Charles begin a fledgling relationship. Meanwhile, Charles decides to enter a school photography competition. For his theme he picks the lighthouses of the California coast but his disability stops him from driving. However, when he mentions his idea to Vicki she volunteers to drive him to each location. With each successive trip they grow a little bit closer, and Charles introduces Vicki to his father and his boss at the diner, Peg (Lahti). She impresses them, so much so that Peg invites Vicki and Charles to a girls’ night at a local bar. They dance together for the first time, and later, Vicki takes Charles back to the hotel room where she lives (and which Skid, who’s her pimp, doesn’t know about). Some time later, Charles persuades Vicki to visit her estranged family: mother Lois (Carradine), and younger sisters Kate (Winter) and Sharon (Martin). The visit doesn’t go as well as Charles had hoped, with recriminations on both sides, and it leads to Vicki disappearing. When Skid begins asking Charles if he’s seen her, he can honestly say no, but Skid makes it clear he’ll find her, no matter what. Charles completes his entry for the photography competition, and goes back to his regular life at the truck stop. It’s when Skid finally does locate Vicki that things take a desperate turn, one that will either bond them together forever, or part them irrevocably. 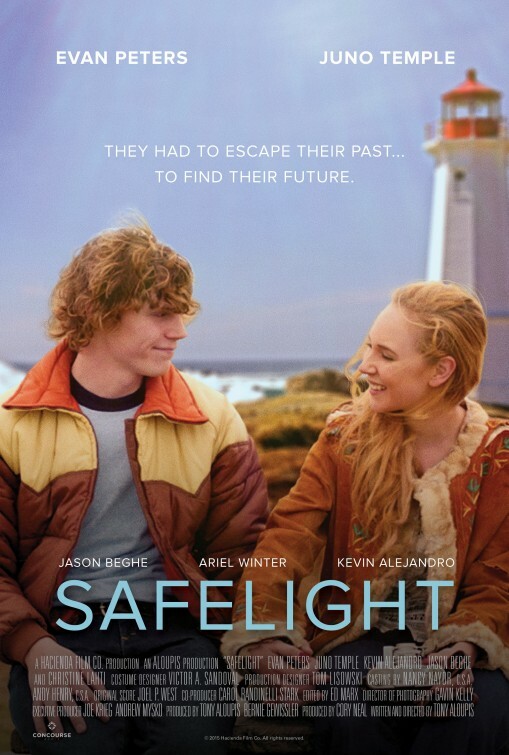 Slow moving but character driven, Safelight is a contemplative look at how two teenagers (Vicki is eighteen) form a relationship while viewing themselves as outsiders, Charles because of his physical condition, Vicki because of her occupation. It’s an often wistful tale, with sterling performances from Peters and Temple, and assured writing and direction from Aloupis. But for every positive footstep the movie makes there’s an annoying misstep – sometimes in the very next scene – as Aloupis tries to explore aspects of both lead characters’ lives that don’t immediately add to the central storyline or overall plot. A case in point is the harassment Charles receives at the hands of three bullies. It serves to highlight just how difficult his life is, and the problems he has to face, but it all seems contrived and unnecessary, as if having legs that don’t work properly isn’t enough. It also leads to a scene where Vicki arrives in the nick of time and scares off the bullies with a handgun that she conveniently has in her bag – as if that’s nothing more than the writer/director adding in a bit of wish fulfilment to perk up the audience. Vicki’s visit to her family is another area in which the script dares to travel where it has no need to go. By the time of the visit, Vicki has already told Charles about her upbringing, and her mother’s abusive boyfriend, so any information we glean has been rendered redundant, and the whole thing isn’t helped by an awkwardly judged performance by Rice as the mother doing her best not to feel guilty at failing to protect her daughter. It leads to the necessary break up of Charles and Vicki, but still it seems like an afterthought in the scriptwriting process. Thankfully, these missteps don’t hurt the bulk of the (short) running time, but they do seem like intruders, disrupting the movie’s flow and causing the viewer to stop short. Away from these errors of judgment, Apoulis is on firmer ground when dealing with the nascent relationship between Charles and Vicki, and garnering the aforementioned sterling performances from his leads, and in particular, from Alejandro. Where Peters gives Charles a diffidence and lack of confidence that makes him immediately sympathetic, Temple takes Vicki in the opposite direction, making her too worldly-wise yet with a streak of tough vulnerability that she can drawn on when needed. The two characters complement each other, and Peters and Temple display a winning chemistry. At odds with their more structured performances, Alejandro is a sweaty, broiling, unpredictable Skid, his manic movements and unnerving laughter leaving the viewer uncertain as to what he’s going to do next (it sometimes feels as if even Alejandro didn’t know). The movie also picks up some energy when he’s on screen, a valuable counterpoint to the considered perspective offered by Peters and Temple. At its heart, of course, the movie is an unconventional love story, and it’s here that it’s at its most effective. While the idea of two professed outsiders finding common ground isn’t unusual in the movies, what Aloupis has done is to make a virtue of Charles’ emotional reticence, and Vicki’s need to be loved for herself and not just her body (which leads to an uncomfortable and telling moment in Vicki’s motel room). With their relationship falling into place so neatly and plausibly, Aloupis moves the supporting characters around with ease, eliciting strong performances from Lahti and Beghe, and showing a flair for spare, unshowy dialogue. The desert landscapes and coastal cliffs are beautifully photographed by DoP Gavin Kelly, and Charles’s photographs of the lighthouses and Vicki are rendered in wonderful black and white by Darrell Lloyd, making the movie a visual treat at times and surprisingly poetic. Rating: 7/10 – some narrative flaws stop Safelight from being more accomplished, but there’s lots to enjoy here, from the performances to the writing, and all backed by an evocative visual style that keeps the drama from becoming too gloomy; while some elements may be predictable to seasoned viewers it’s Apoulis’ approach to the material that keeps it interesting.